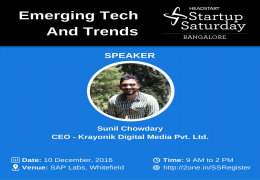 We are happy to announce the December 2016 edition of Startup Saturday Bangalore themed: “Emerging Tech and Trends”. 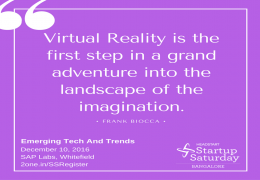 We will have speakers many of the emerging sectors such as - Virtual Reality, Artificial Intelligence, Augmented Reality, Internet of Things etc. 2) Purchase and receive your contributory pass from our Meraevents. 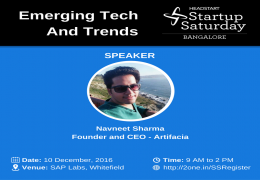 If you are a startup and looking to take up STALL SPACE in our experience zone then register at : http://2one.in/experiencezone. 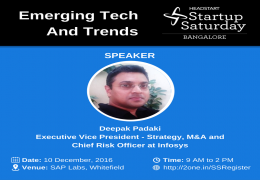 We have our speakers confirmed for the day. 1. 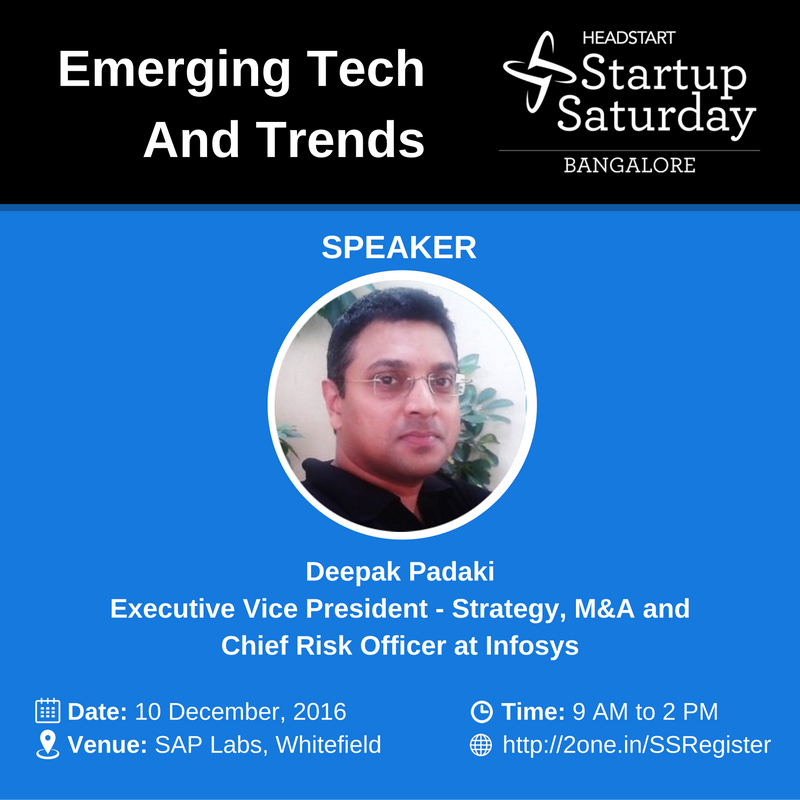 Deepak Padaki - Strategy, M&A and Chief Risk Office at Infosys. He is a industry expert and will speak about AI, Blockchain and Open AI. 2. 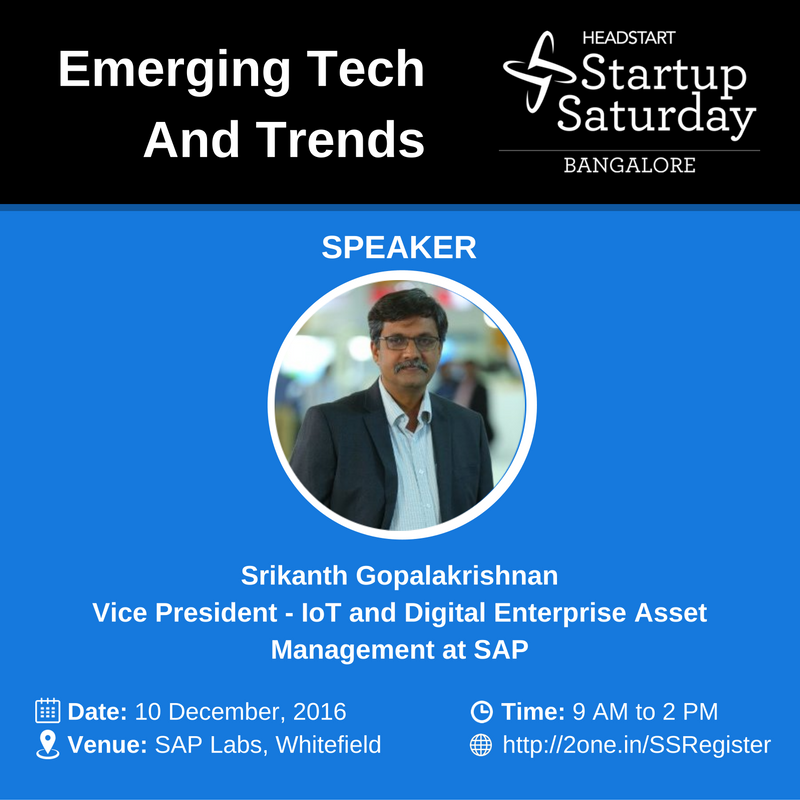 Srikanth Gopalakrishnan - VP, IOT and Digital Enterprise Asset Management at SAP. 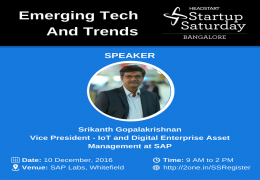 He will be speaking on Deep Learning and IOT. 3. 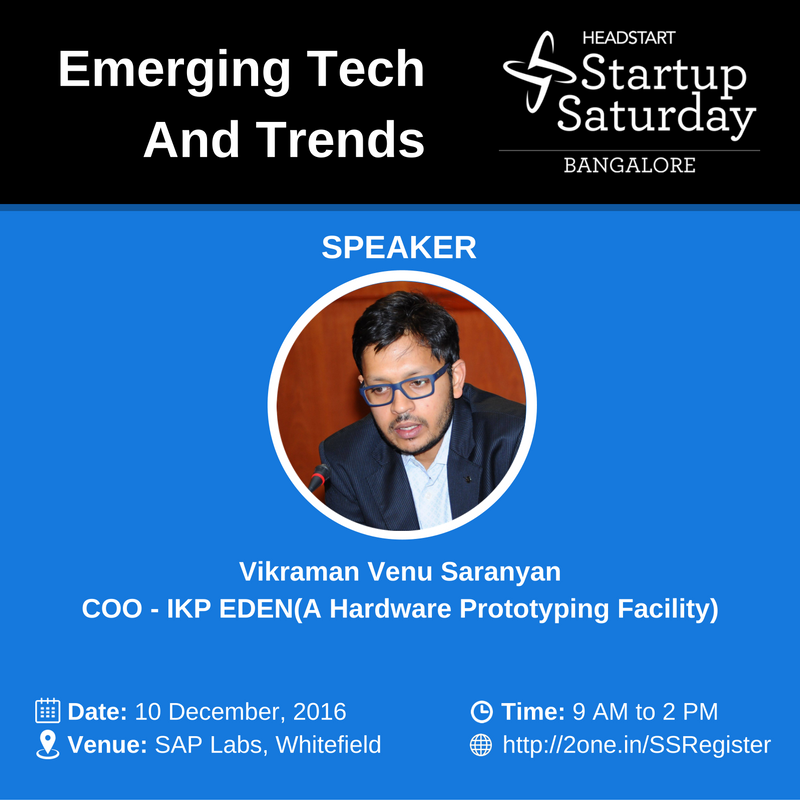 Vikram Venu Saranyan - COO, IKP-EDEN(A Hardware Prototype Facility). 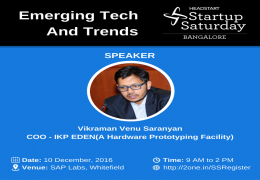 He is an expert figure in IT, 3D Printing and Hardware space as he heads one of the coolest harware prototype facilities in the town. 4. 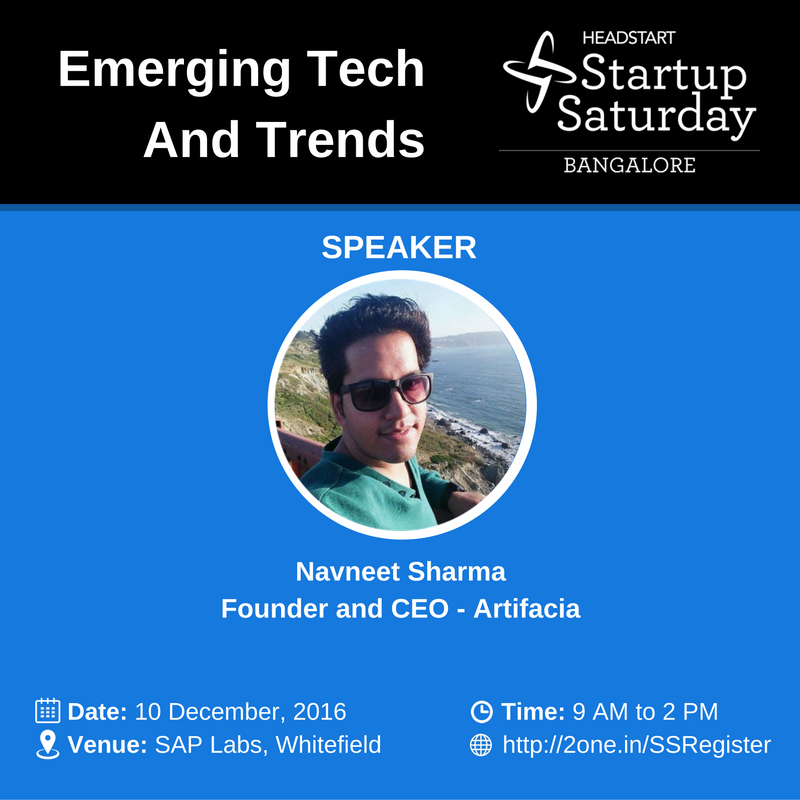 Navneet Sharma - Founder and CEO, Artifacia. 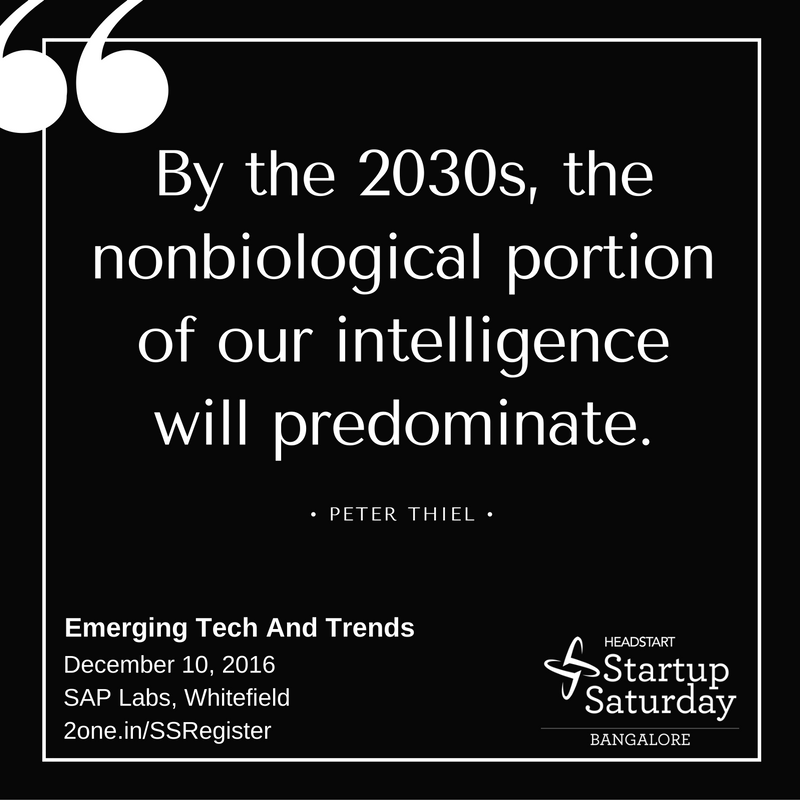 He is the poster boy in India for upcoming AI and DeepLearning technologies. 5. 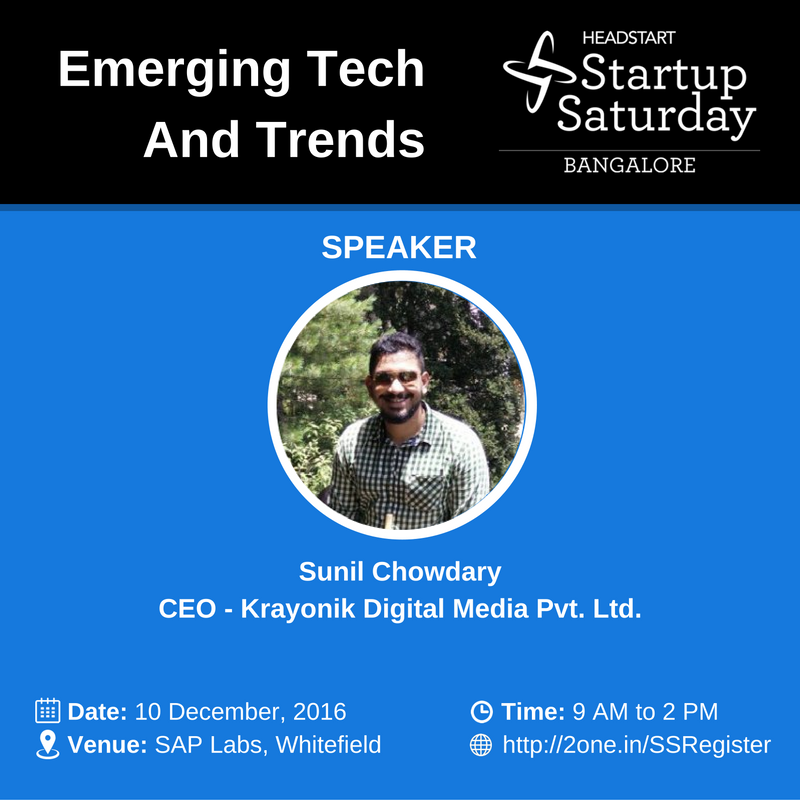 Sunil Chowdhary - CEO, Krayonic Digital Media Pvt. Ltd. 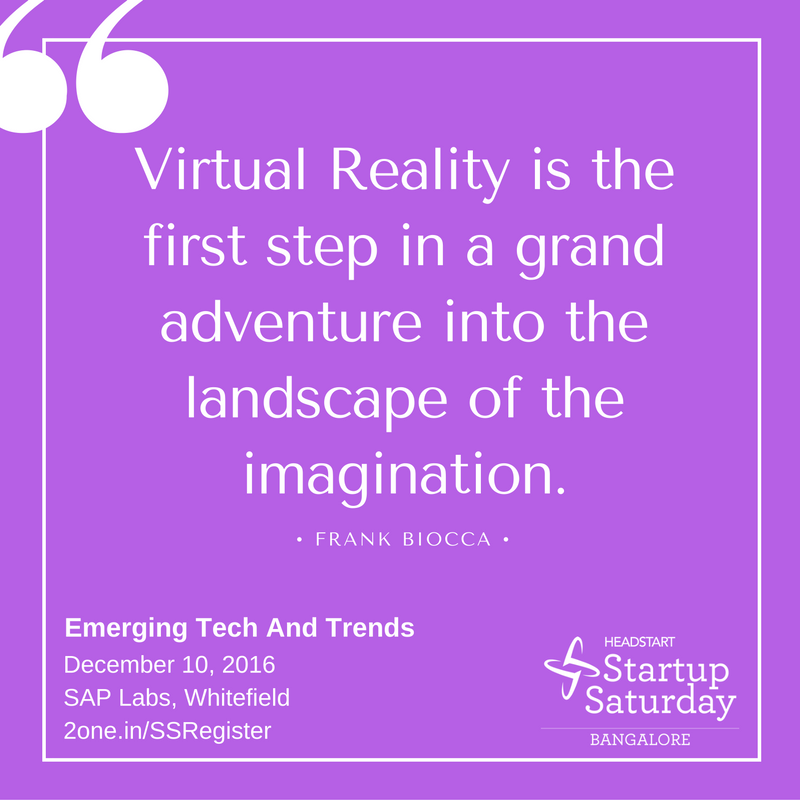 He will be speaking on Augmented Reality, Virtual Reality and Gaming as he is in the space for long now.